Little Brown Mouse and Little Grey Mouse are the best of friends. One night they see a sparkling Wishing Star fall into the lake, and so they hurry down the river to find it. But there is only one star, and both mice want to make a wish. M Christina Butler was born in Scarborough and now lives in Driffield, East Yorkshire. She has written many best-selling books for Little Tiger Press, including One Snowy Night and One Winter's Day. On leaving Art College, Frank Endersby worked in an Art Studio as an illustrator. He then set up his own studio, initially illustrating games, board books and jigsaw puzzles. 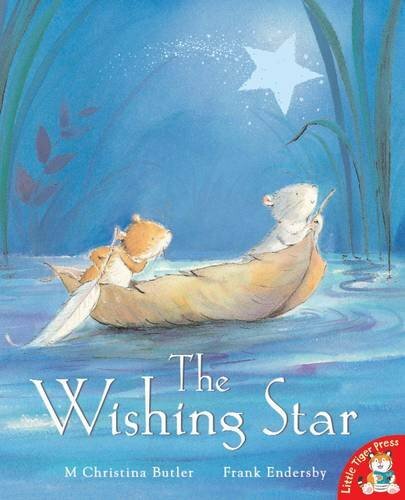 The Wishing Star is his first book for Little Tiger Press.